First, I want to say THANKS for the awesome, encouraging response I got to my Destination ME post! It's really wonderful to know I have support as I tackle this new, D not exactly related challenge! Last week I said that my goal was going to be simple. I wanted to get to bed by 11 pm. So... how did I do?!? I did really well! The first night I was in bed by 11:15. Not too bad. But after that, I was in bed by 10:30! Not asleep... but in bed! That still gave me an extra hour or so of sleep and THAT was awesome! Even when I was getting up a couple times a night to do battle with D, I still felt better the next day! I am DEFINITELY going to keep shooting for an 11 pm bedtime. Actually, I think I do better if I shoot for 10 and then if it's 10:30 or so I'm still ahead! This week I've gone back and forth about my goal. Then I looked at the weather and my decision was made. I had thought about making an exercise goal this week. However, the temperature is going into the mid 90's this week. I work in a school WITHOUT AIR CONDITIONING. So that means it's in the 100's in my classroom. No lie. No exaggeration. Me and 29 Kinders all sweating to death. On days like today, it's all I can do to get home. Even now, at 9pm, my body is still HOT. SO.... my goal this week is WATER. I need to really up my water intake. Especially since it's so hot! This was taken as part of last year's November Photo A Day Challenge... Sweetpea's Fav Drink! I actually made this kind of a mini goal last week. I have been drinking more water... now I want to drink EVEN MORE. I want to make sure I'm getting enough every day. AND.... (and this is the kicker) I am going to seriously cut back on my Coke intake. I'm addicted, folks. I love the stuff. Some people drink coffee. Not me. I can't stand the taste. 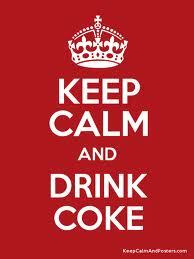 But I can not live without a nice, cold Coke! Especially if it's in a foam cup from McDonald's! And I'm not even talking Diet. No way. I want the REAL STUFF. I'm not going cold turkey. I don't think I could handle that (nor could my sweet family!). Just cutting back to no more than ONE a day. And if I can do it, not even one. I am never going to give the stuff up all together. I just love it too much. But if I have it on the rare occasion - that's what the long term goal is! I know I need this to be healthy. But I also want to do this to be a good role model for Sweets. All that girl drinks is water. She doesn't like soda. Doesn't really care for fruit punch or those juice pouches. And I'd love it to stay that way! But when she sees her Mama always sucking on a Coke... not a good example I'm setting for her. 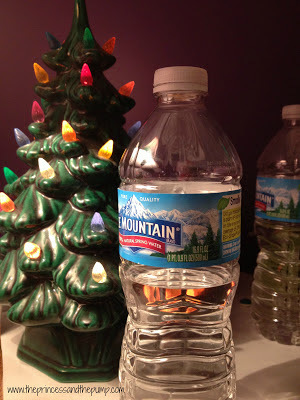 I'm going to keep track of how many ounces of water I drink per day (and how many cokes!) and I will report back next week! I want to give a big SHOUT OUT to Lora, Jen, Haley, Lauren, and Brandy for joining me in this challenge and linking up! I hope you will check out their journeys and encourage them as well! To learn more about this whole "Destination ME" thing, check out my first post about it HERE. JOIN US! Come on... you know you want to!! Join in on the fun! What's YOUR goal? Nothing is too big or too small! Write a blog post and link up... or if you don't blog, just leave your goal in the comments! It's much more fun to do this with friends! That's awesome! Good for you for getting more sleep, that is so important. I, however, did not do so well with the sleep. :( I realize that if I was well rested, I'd be able to better tackle everything during the day. I'd exercise more and longer, I'd eat healthier - I know this. But I still can't seem to get myself to sleep by 11pm. I only did it one night. :) I will come up with a goal I can stick to this week so I feel like I'm accomplishing something. Good luck with drinking more water - that's super important! This week I am going to wake up a half hour then usual so I can get more time for living healthy! I've gained 15 pounds and can't tell you the last time I ran. So my goal is to start exercising again. Its good for me, not just physically but mentally as well. Maybe it would help me with some of the stress and anxiety that seems to have tagged along with T1D. Anyway, thanks for sharing your story, its nice to feel like someone else understands.